Issue two of our newsletter takes a look at the year ahead as well as arming you with some handy savings tips. 2016: A year to saver? Looking back on 2015 we can conclude that it has been a mixed year of highs and lows for savers across the UK. The upsides came in the form of savers saving record amounts this year taking advantage of the variety of accounts on offer. However, there have also been lows. The long-running debate about the Bank of England’s historically low interest rate continues to rumble on; the second half of 2015 saw experts up and down the country predicting a rates rise for first time in six years. However, an untimely downturn in the Chinese economy saw optimism dampened and now it is unlikely that we will see a rate rise anytime soon. Despite this, we have seen a growing impetus for people wanting to save. In September, we reached a big milestone passing over £1.5bn in deposits and welcoming over 25,000 new customers since launching in March. Also in September we commissioned our first research project to really get under the skin of UK savers and the findings highlighted some worrying trends. Nearly a third of UK adults with savings don’t know the current interest rate on their main savings account - in fact almost a fifth admit to never having checked the rate on their primary savings account. Even when it comes to those that know their interest rate, many are receiving poor returns. More than an eighth of UK adults are earning 0.50% interest or less on their primary savings account, and with the average UK savings pot totalling £8,500, this equates to annual interest of just £43 a year before tax! With interest rates so low, it’s no surprise UK savers are literally losing interest in their savings. People are simply not aware of how much harder their money could be working for them and so are keeping their savings in accounts that are only slightly better than a shoe box under their bed! The key to making the most out of your money is to simply be savvier with your savings, not just aiming to save more every month or week but aiming to save smarter. 2016 should be a year to mix things up, and not let your money sit in a glorified shoe box, accruing little returns. Charter Court Financial Services Limited (Charter Court), the specialist challenger bank and owner of Precise Mortgages and Charter Savings Bank, today announces it passed through £2.5 billion of mortgage completions to the end of October 2015, helping over 14,500 buy to let landlords and home owners achieve their property ambitions. New mortgage lending in 2015 is forecast to grow to c£1.5 billion, an increase of 114% vs. 2014. This has been driven by strong growth in core lending markets, competitive product rates and the current mix of stable economic conditions, rising real incomes, improving housing equity positions, and modest expectations of interest rate increases. Buy-to-let lending represents the largest sector, accounting for approximately 62% of Charter Court’s total lending. The remaining 38% of lending includes residential home owners, many of whom – such as the self-employed – are not well served by high street lenders. Charter Court has just eight mortgage loans where there are three or more payments in arrears – this equates to an arrears rate of 0.07%*, and reflects strong lending controls and underwriting criteria. The CML mortgage industry average arrears rate is 1.19%**. Charter Savings Bank, which has regularly been featured in the best buy tables since it opened for business in March 2015, has already opened over 32,000 savings accounts, in which customers have deposited £1.4 billion. *arrears rate based on mortgages as at month end September 2015. ** CML mortgages >3 months in arrears at end of Q2 2015. Charter Savings Bank has been nominated as a finalist in the 2016 Consumer Moneyfacts Awards in the 'Online Savings Provider of the Year' category, but in order to win, we really need your vote. To vote for Charter Savings Bank, all you need to do is click on the vote button and complete the Consumer Moneyfacts survey by 20 November 2015. Moneyfacts will enter you into their free prize draw to win one of three £1,000 prizes. Click here to view Moneyfacts survey terms and conditions. The Consumer Moneyfacts awards are considered among the most prestigious in the consumer finance industry. Last year over 70,000 consumers voted and had their say. As Charter Savings Bank celebrates passing £1billion in deposits and welcoming over 25,000 new customers since launching in March this year, research from the challenger bank in conjunction with YouGov has found that nearly a third (32%) of UK adults with savings do not know the current interest rate on their main savings account. Furthermore, almost a fifth (17%) admit to never having checked the rate on their primary savings account. In reality, for many savers who opened their accounts over six months ago, any introductory bonus rates will have ended. In fact, more than a fifth (21%) of UK adults who have savings are earning 0.50% interest or less on their primary savings account - less than the 0.50% base rate set by the Bank of England. With the average UK savings pot totalling £8,500, this equates to an average annual interest of just £43 a year before tax. It is clear that for the UK, savings has become a habit, but many are simply not engaging with their hard-earned money and earning the returns they should. 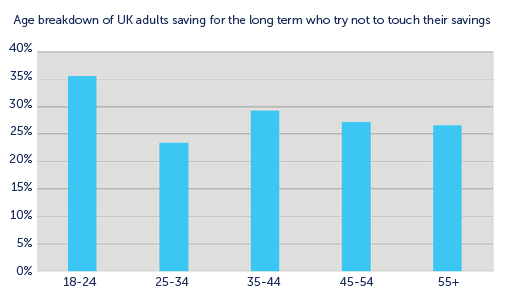 When it comes to how the UK saves, the majority of people put money away for the long term and try to not touch their savings (28%). However, almost a quarter (24%) admit to setting out with this plan in mind but often find themselves regularly dipping into their pot to fund expenses. As we age, the relationship with our money changes. Those aged 18-24 are most likely (36%) to save for the long term without touching their money, followed by those aged 35 – 44 years old (29%). Savers aged 25 – 34 are more likely to save for something specific, use the money and start again, perhaps an indication of the money pressures this age group face (25%). 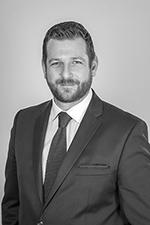 Paul Whitlock, Director of Savings at Charter Savings Bank, said: “High street banks are offering little more to UK savers than a secure location for their savings. With returns from high street banks so low, it’s no surprise UK savers have themselves literally lost interest in their savings. People are simply not aware of how much harder their money could be working for them." "Despite this, it is encouraging that saving has become a habit for so many of us. But we urge savers to be more engaged with their returns and become savvier with savings. It is not just about saving more, it is about saving smarter. With challenger banks dominating the best buy tables and paying interest rates that can top 2%, some savers could be earning more than four times as much interest as they currently do. Savers should take a look at the best rates on the market and think carefully about how their money can work hardest for them." Now that we’ve all had a little time to digest the outcome of arguably the most unpredictable General Election campaign in living memory, it’s time to turn our attention to what this might mean for savers. Ahead of the election, pensioners were treated to bonds paying unusually high rates of interest, and we will soon see tax-free saving for 95% of all UK savers. But, although we have the same chancellor, it remains to be seen if he’ll have the same attitude to savings in the new administration. So far there haven’t been any announcements from the Treasury, but that doesn’t mean they aren’t busy dreaming up new ideas to help beleaguered savers, especially with the summer budget announcement due next month. Perhaps they’re considering the suggestion of a ‘Lifetime ISA’ mooted by a Think Tank last year, or a ‘Lifetime Bonus Savings Account’ proposed some years earlier? Maybe they’re wondering how to help people with smaller savings pots? Or perhaps they’re looking to those with larger savings balances, on whom the country relies so heavily? Let’s not forget, without the savers who provide the money to banks and building societies for them to lend, many people wouldn’t be able to get mortgages. As a nation, we should want to encourage people to start saving, and for those already saving to put away a little bit more each month. But to drive real and sustained change we need to offer savers what they want, accounts that do exactly what it says on the tin. It’s a shame that all too often, accounts offer great rates of interest but then make savers jump through hoops to achieve them. We’ve all got more important things to do than work out if we’ve already used our third penalty-free withdrawal this year or remembered to check if the bonus rate has expired. There’s a good chance that base rate and, in turn, savings rates will start to increase next year and when they do, it’s to be hoped that providers do more than just pay higher rates to savers. They should make sure that the account is straightforward too. As someone more musical than me once said, “it’s not what you do, it’s the way that you do it”.